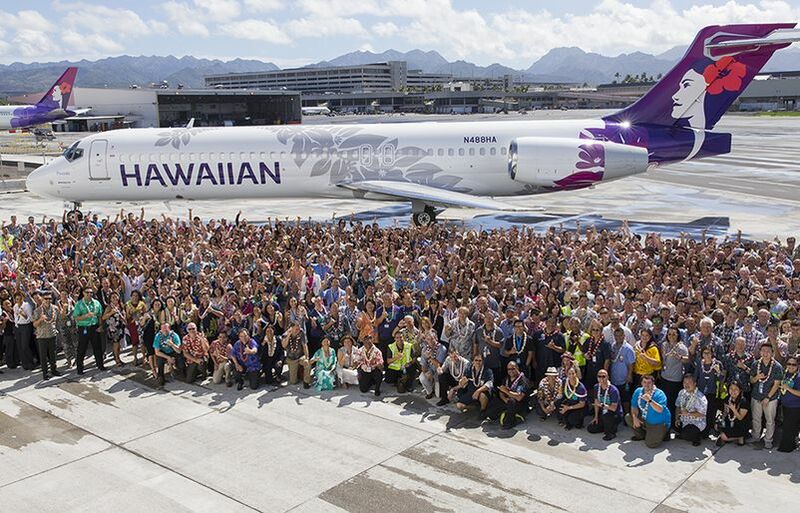 HONOLULU – Non-profit agencies across the state will feel the gratitude of Hawaiian Airlines and its employees throughout 2019 with a company-matched employee giving program celebrating the airline’s 90th year of service in the Hawaiian Islands. The Bishop Museum, the state’s largest museum, said funds will be used to help “preserve, protect, and perpetuate the rich cultural and natural legacy of our islands today and for generations to come,” said Melanie Ide, Bishop Museum president and CEO. Hawaiian is once again joining hands with the Polynesian Voyaging Society (PVS) after sponsoring its historic Mālama Honua (to care for our Island Earth) Worldwide Voyage. Last year, PVS concluded a four-year journey around the planet by the voyaging canoe Hōkūle‘a, whose crew sailed over 50,000 nautical miles to 28 countries to spread a message of sustainability. Hawaiian’s giving campaign is only the beginning of a year of celebratory activities as the airline counts down to its 90th birthday and commemorates the legacy of its visionary founder, Stanley C. Kennedy. A World War I Navy pilot, Kennedy believed air travel would one day overtake the family’s ships as the primary mode of transportation between the Hawaiian Islands. In the spring of 1928, he convinced the board of Inter-Island Steam Navigation to purchase a five-passenger Bellanca CH-300 Pacemaker monoplane and, on Oct. 6, 1929, began offering sightseeing tours of O‘ahu to familiarize residents with flying. Within a month, on Nov. 11, 1929, the first scheduled Inter-Island Airways Sikorsky S-38 aircraft departed then-John Rodgers Airport in Honolulu for a flight to Maui and then Hilo – officially marking the beginning of commercial aviation in Hawaii. Today, Hawaiian welcomes an average of 32,000 passengers on a single day – over 11.5 million residents and visitors annually – with a modern fleet of 65 aircraft operating in a robust network of neighbor island, U.S. mainland and international flights connecting the Hawaiian Islands to destinations stretching from New Zealand to Japan and New York, and soon Boston. Over the course of its history, Hawaiian has carried nearly 279 million passengers to, from and between the Hawaiian Islands.